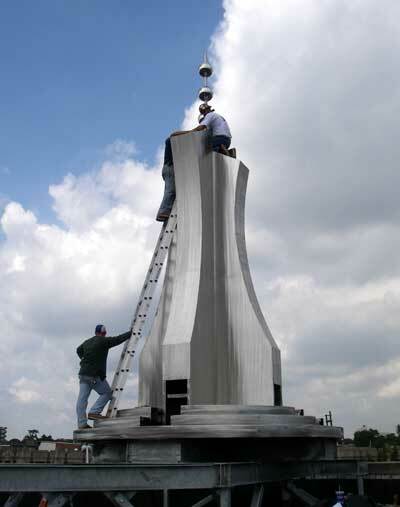 Tonnesen's contributions to the monument included making the structure leaner and making its finish brighter. "I probably shaved a ton off the weight" through refinements of Vasquez's design, Tonnesen said. The finish ``adds some detail to the surface," Tonnesen said. ``It almost has a three-dimensional effect. When you walk by it, it should actually reflect, catching light from different angles." View the article here.